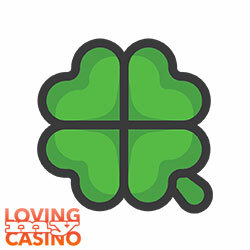 That is my heartfelt welcome and greeting to all of you nice enough to visit my casino page! I really cannot thank you enough for having typed my URL to your browser—or found my website through Google or some other search engine! However it may be, I am totally happy to have you reading my casino stuff here! At the moment, you might be wondering what LM Casino actually stands for. Well, is it not obvious? It stands for Loving My Casino, which is definitely something that I am constantly doing! Some of my friends and family definitely say that I am overdoing it and just losing my money in the process, but they do not understand the essence of online casinos. Casinos, much like movies and other kinds of entertainment are just that—pure, unadulterated entertainment! It is not just about turning your money into profit—it is keeping yourself entertained and loving life! For sure, it is not good to play compulsively or anything like that, but that is not what I am doing. Every now and then I will take a break for a month or two to show other people, as well as myself, that I can do without gambling as well. I think this is very important! I once saw a documentary about a professional wrestler called Ric Flair who was asked whether he was an alcoholic or not. His answer? Something like “I don’t know… I never tried to stop!” Those words kind of ring true here as well. You had better test yourself and see where your emotions will take you! Anyways, I do not have a gambling problem—I just like to indulge in it every now and then. In fact, I work as a CEO for a small business and can afford a couple of losses here and there… Still, some people look down on my hobby, which is exactly why I decided to start this website. This is a place where I can keep loving my casino (see what I did there?) with people who are also into this very hobby. When meeting people who like the same things as you, there is simply no need to feel ashamed of what you do. The same applies to my love for professional wrestling. Some people think that the so-called sport is just fake, but I know better. For me, the athleticism of those people is utterly impressive, and I am not a person to say no to a good storyline, either! This website is my very own love letter to online casino games and the whole phenomenon that they have become. Outside of some people suffering from addiction (as is the case with a lot of other things in life as well, mind you), the world of online casinos is all about having fun and keeping yourself entertained. As a hard-working entrepreneur, I really appreciate all the cool downtime activities that I can find—and, for me, online casinos are as integral a part of unwinding as anything else!